BM: Hello Da-Nel! I am so glad to finally have this conversation with you. 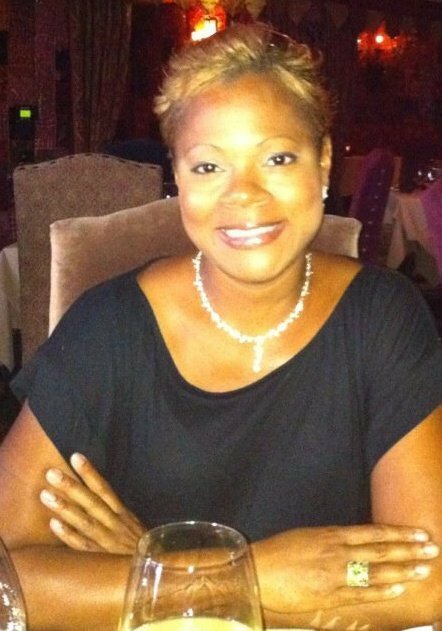 You wear so many hats- Mother, Founder/CEO, Author, and Speaker. Have I left anything out? LOL. Let’s discuss your Author hat. 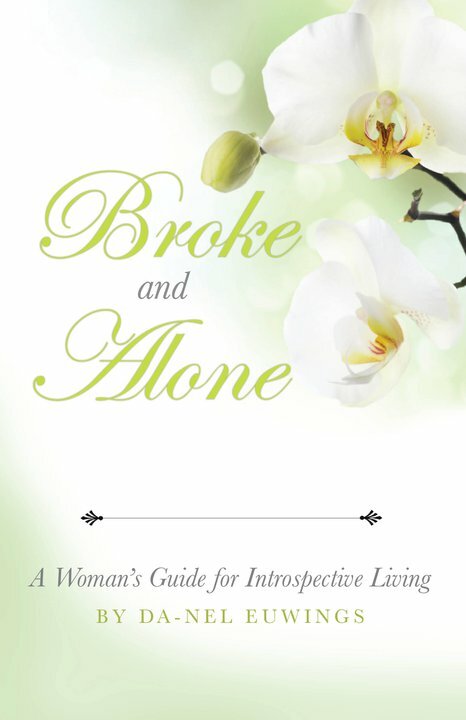 Tell us about your motivation for writing your first book titled Broke and Alone: A Woman’s Guide for Introspective Living. DE: Hi Shawn! Yes, I do wear many hats because I have many talents…LOL! I’m also a certified Massage Therapist, and a Certified Mixologist (the title on my bartending diploma…LOL). Rgarding my book, my motivation was to heal through helping. I am the survivor of many advertisies – some were self-imposed, and others were heaped upon me by external factors out of my control – and I knew many women could relate to them. My intent for my book was to be a heart-to-heart conversation as if I am a girlfriend, sister, mother, or mentor speaking frankly and compassionately – but not in an academic, berating, or unrealistic way – about real life issues that are very sensitive and life changing, and some practical solutions that I myself had to implement. BM: Personally, I like your use of metaphors and analogies to express your points throughout the book. It makes the lesson somehow more realistic and the possible solutions seem more measurable and obtainable. What tools have aided you towards success throughout the various stages of challenges in your life? DE: Thank you. I speak in poetic, colorful, abstract ways because that’s how my mind is (go figure…LOL…but I’m making it work for me). I find that some people learn through demonstration or through object lessons/ observations. So, some tools that have helped me is to be more aware of lessons all around me such as in nature, my son, my pets, my professional/social interactions, etc. and from being aware and atuned, there’s always something to be learned such as patience, humility, balance, foresight, empathy, self-control, discipline, respect, and so on. So, when I encounter say, a burst water heater resulting in 3- inch flooding in my basement (a recent occurance actually), I can either choose to collapse in despair, curse God, blame others, or become bitter at the “bad timing”, or I can choose to display self-control and focus on solving the problem methodically and working with people who will help solve the problem not exacerbate the issue or fan unneeed emotions. Another tool, is guarding my association – the people I’m around, the things I read, etc – to make sure people are fuel and food for me – as I am for them – not those who are toxic and listless. BM: In Chapter 4 you discuss Challenging Yourself. What do you feel has been a great challenge for you in business and how have you overcome it? DE: A challenge for me as a solopreneur is staying motivated. Since I do not have a physical team (for my massage practice) with which to interact with daily, I have to develop a different kind of team of resources to stay abreast of trends, opportunities, and marketing appropriate to my industry, etc. I’m doing all that a typical brick-and-mortar company does – PR, accounting – so it’s easy to become overwhelmed and sidetracked. I try to overcome this by keeping my skills sharp and staying connected with my clients and their wellness regimen because their gratification and referrals makes it worth the journey. BM: As I mentioned previously, you wear many hats. How do you manage to keep a healthy work/life balance? DE: I don’t have the midas-touch, and I stopped using the Magic 8 Ball (LOL! ), but in a nutshell, I do what I have to do so I can do what I want to do. What I a mean is this: If I want to have peace, respect, love, financial means, and good health then I have to do what I need to – even when it’s painful, public, humbling, new/unfamiliar, or lasts longer than expected – to gain them. It means knowing my limits and setting boundaries for myself and others. It means be OK with making regular time to regroup and focus on my needs. I love to dance, I enjoy the beach, a good massage or spa day, and a great glass of wine! You don’t need to be wealthy, nor should you wait until your blood pressure is through the roof before you do regular small things for yourself – and as I tell my clients, you shouldn’t call these occassions your “treats” but, your wellness necessities. BM: Is there one really good business tip or practice you can share with other women on how to get started in writing and self-publishing? DE: The best practice tip that I will share with women is to be genuine and not be afraid of what your inner voice tells you to write. Sometimes, we get caught up in comparing ourselves to other’s styles, trends, and the existing flood of topics similar to ours that we underestimate the power and impact of our own voice. We then stifle or dumbdown our message in fear before it even gets to its zenith. So, I say, nevermind trying to be popular (something I needed to realize) or be “the next Oprah or Les Brown” (who have their own deserved legacies) but be the next YOU and don’t be afraid of YOU and your own powerful message as you write. BM: I found your book to be very refreshing and insightful. Reading it was like looking into a mirror and instead of seeing your reflection you can see your soul. With that being said, what types of feedback have you been receiving on your book? DE: The feedback has been great, and I’ve also received good critique I’ll implement in my next book. Some women have said they’ve admired my courage, the “realness” of the message, it’s easy to read, the non-preachy tone, and heart-to-heart advice given. That has been truly beautiful for me to hear and very rewarding! BM: Can we expect to see a Part II to Broke and Alone? Are there any other books you are planning to write in the future? DE: One bit of critque from a professional editor is that the book’s topics can be expounded on even further so, right now plans are in place to create a series of expanded chapters from the original book. The chapter titles have been copyrighted (budding writers should take note of that and do the same with their intellectual property) so I will take a courageous leap and make the next series more biographical, and give more personal experiences for each chapter. If my tears and joys continues to spare and uplift other women then my mission has been accomplished! Next articleYour Legacy: Do You Have A Plan In Place? Next: Your Legacy: Do You Have A Plan In Place?